Let the light of this moon guide the way through the forest on a dark night. 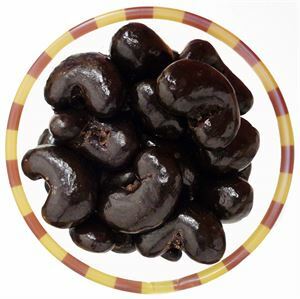 A crunchy cashew smothered in rich dark chocolate is a perfect snack before falling asleep under the stars. I live in Georgia and there is No Droolin' Moose! 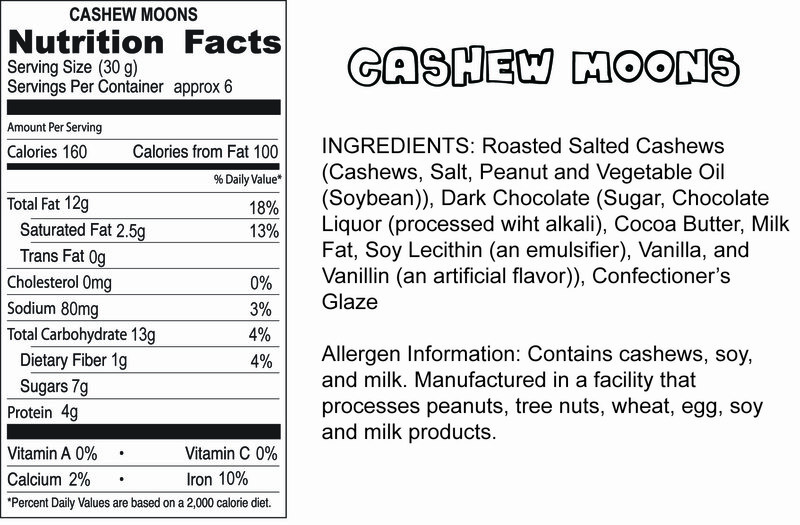 Oh No -These are the best Chocolate Cashews I've ever eaten and believe me I know my chocolate nuts! Thank you Droolin' Moose! From Amy of Helena, Montana on 7/28/2014 . They are dipped in so much dark chocolate, it's unbelievable. These are fantastic! !